You can’t run an internal combustion engine without it, but how much do you know about your car’s oil? You’ll probably know your car’s engine wouldn’t operate without it, but we pick up where knowledge on the substance drops off. 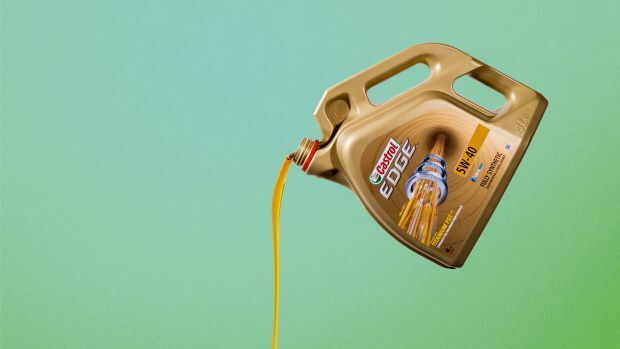 From why you need it, what the numbers on the containers mean, to what type of oil you might need in your car, we run through everything you need to know about engine oil. A viscous liquid, insoluble in water, that’s used as a lubricant. Why does my engine need it? So components pass each other with as little friction as possible, preventing power loss and minimising wear. It also has cleaning and cooling properties. Yes: mineral, synthetic and semi-synthetic. Mineral oil is distilled from crude oil and refined; synthetic oil is made through a chemical process. However, some synthetic oil is manufactured from crude oil by refining, distilling, purifying and breaking it down into its basic molecules. This process not only removes more impurities but also enables individual molecules in the oil to be tailored to modern engines. A semi-synthetic oil is a blend of mineral and synthetic oils. Are there any other ingredients? Yes, several, generally additives to improve the oil’s performance and longevity. A typical engine oil may in fact be made up of 80 per cent actual oil and 20 per cent additives. These can include oxidation inhibitors (to prevent the oil ageing prematurely), detergents (to carry dirt to the oil filter), viscosity improvers and anti-foaming agents, among others. Virtually all modern engine oils are multigrades, and this refers to their ability to be used in both summer and winter. In the past it was the norm to use thinner oil in winter and a thicker oil in summer. What do all those letters and numbers on multigrades mean? If we take a 10W-40 oil as an example, the ‘10W’ refers to its maximum viscosity at low temperatures, with the ‘W’ standing for winter. The lower the number, the thinner the oil. (So in particularly cold environments a lower ‘W’ number, 5W or 0W say, may be desirable, because the oil will flow more easily upon a cold start and protect the engine sooner.) The ‘40’, meanwhile, refers to the viscosity at normal running temperatures; the higher the figure, the higher the viscosity. An oil that is too thin may not protect effectively, one that is too thick may harm efficiency. Why can’t all engines just use the same viscosity oil? Manufacturers specify different viscosities depending on the engine’s fuel type, design features, oil pump capacity and manufacturing tolerances, and also the ambient temperatures the vehicle will be exposed to. What are those other numbers and letters on a container of oil? You may see API (American Petroleum Institute) and ACEA (Association des Constructeurs Européens d’Automobiles), which mean the oil has passed the standards set by those organisations. 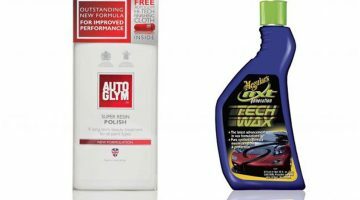 Which is better, mineral or synthetic oil? As synthetic oils have fewer impurities, they tend to degrade far slower than mineral-based oils and offer superior protection. But the best advice is to stick to what your car’s manufacturer specifies and change it at least every 12 months. 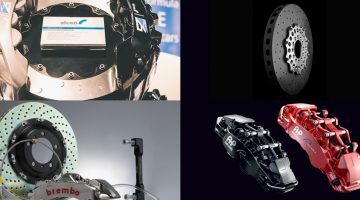 Aftermarket car brake upgrades: do performance brakes from Brembo, AP Racing, Alcon, etc make sense?